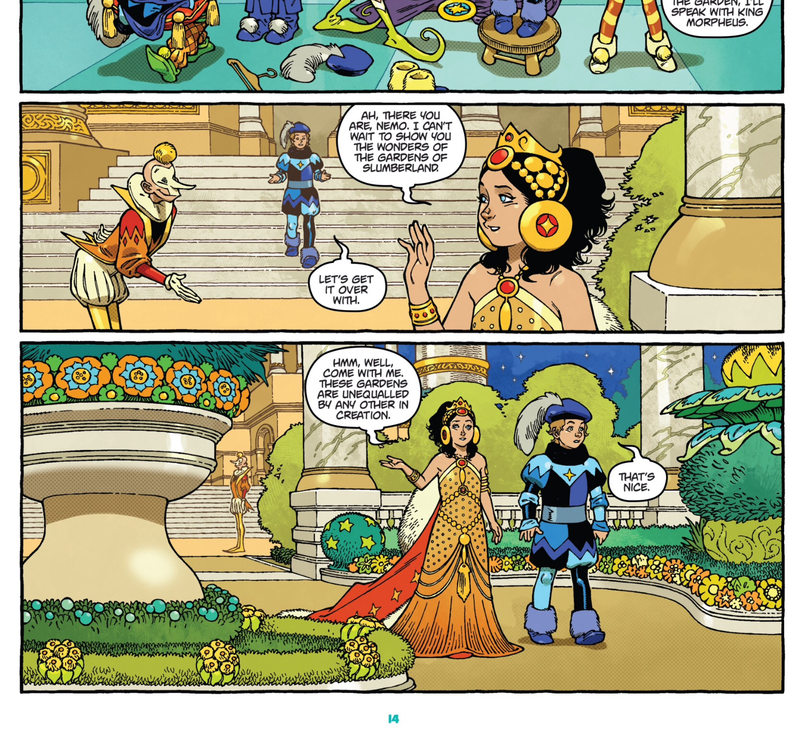 Little Nemo: Return to Slumberland brings us brilliant, intelligent writing by Eric Shanowar whose great works includes Age of Bronze (Image Comics), and various Oz comics (Marvel, IDW). 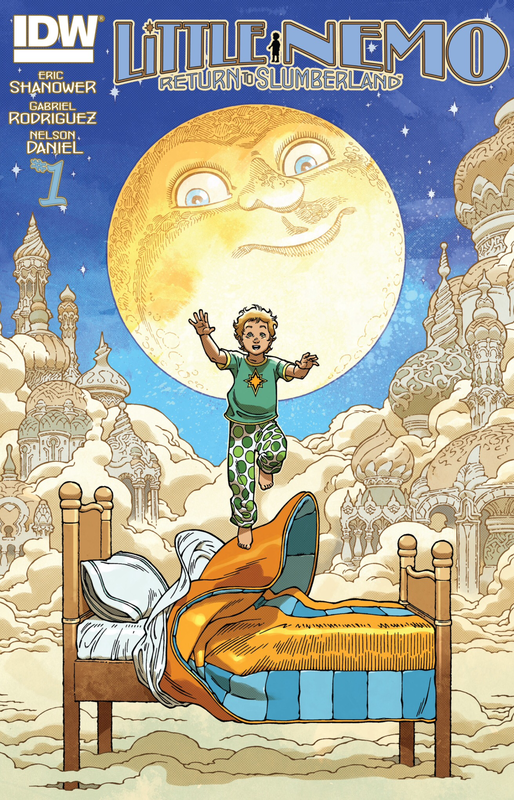 This new series brings the spirit of the classic Winsor McCay strips, but modernized for the current style of sequential storytelling. You will find much of the magic and visual styles familiar to the fantasy settings of the early 1900s, but with the added touch of modern developments in fantasy storytelling. The story setting takes us from a mundane world, with a new hero (his middle name is Nemo) as successor to the past Nemo of the McCay strips, then taking us into a fascinating realm full of dangers and fascinations; pushing the boundaries of imagination. I identify with our new Nemo as a child, thrust into this strange realm of wonders but at first reluctance and a little skepticism. There is some resistance as we also see hints of some mature development to our hero. Maybe he doesn’t want to play, or perhaps a part of him is still stuck in our reality of video games and TV. Yet, he finds joy with new friends, and wonders intended (and not) for him. He soon takes on new responsibilities in helping others, while drawing in danger to him. There are temptations in this dreamworld, which may draw our protagonist away from his heroic nature or perhaps a danger to others and Slumberland. Some include but not limited to: forbidden areas, breaking rules, forces that lead him astray like Flip (a mischievous clown). Overall, there is great pacing and buildup for our character, and his destined place in Slumberland; which I think extends far beyond the role of the simple playmate. I was originally drawn to this book by its artist, Gabriel Rodriguez; after his fantastic work on Joe Hill’s Locke and Key series. His art in this revamp of Nemo is perfect, and so much more with the turn of every page. 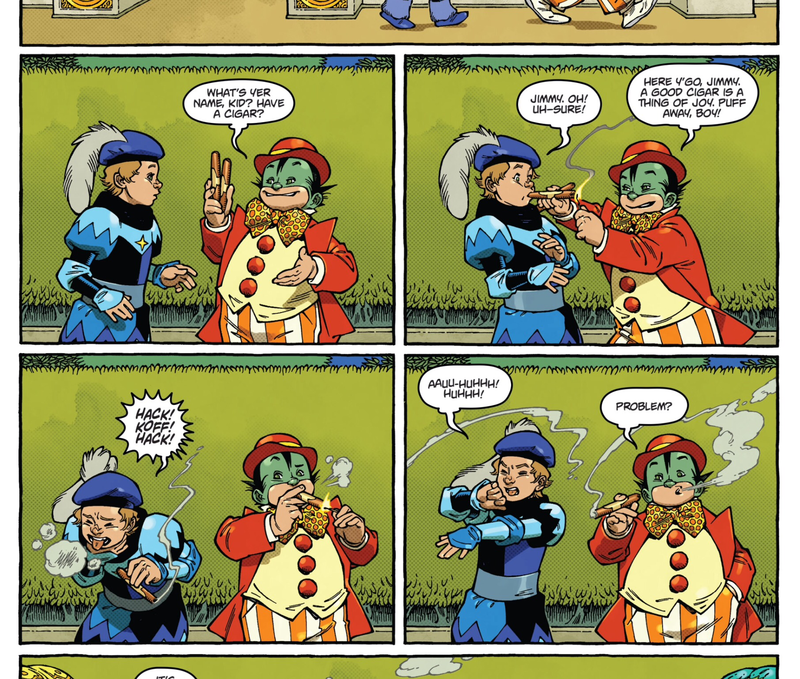 He does not try to copy the classic Winsor McCay comics, but combines visual elements as an influence to his own unique style. This was also done before this series, back in a short story to the excellent one shot, Locke and Key: Guide to Known Keys. The backdrops and landscapes are gorgeous, extensive of the minds expectations with complex and grand architecture and curious situations. The characters he draws are full of emotion and playfulness. The colors are fitting, full of playful combinations and textures relating back to the classic McCay strips. Together, this is world-building at its visual finest. The added situations and physics of Slumberland enhance the visuals; especially in the third issue as our hero undergoes some crazy Escher influenced obstacles and strange puzzles. 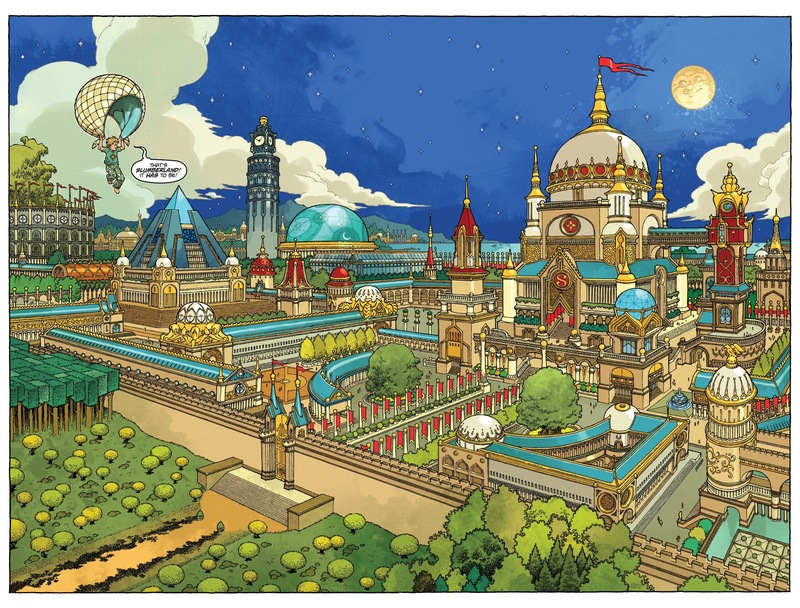 There are moments where I stop reading, and find myself lost in the details and grandeur of this comic world of dreams. I recommend this series for anyone who loves a good adventure and craving something more than traditional storytelling. It’s great and fitting for all almost all ages. You need not familiarize with the classic strips of a century back, though it could add to the reading experience. In that, the single issues contain pages of the original works (and other cool extras). Overall, just read let your inner child enjoy.